When your lips are chapped, what's the first thing you think about? Cupcakes, of course! 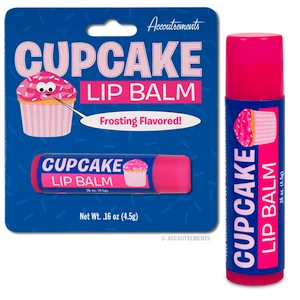 Each tube of frosting flavored lip balm is 2-1/2" (6.4 cm) long with a twist bottom dispenser.